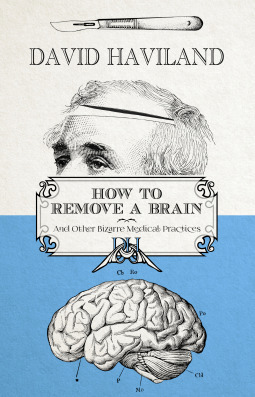 I thank Net galley for providing me a copy to read & review 'How to Remove a Brain and Other Bizarre Medical practices' It is not more than 200 pages and can be read in one sitting. The author David Haviland gives us many anecdotes and some fun and bizarre practices in ancient Egypt, India, Europe and US. He also mentioned about the myth relating to Julius Caesar, his birth that he was not born of Caesarean section as it is only performed either to save the child or the mother. Since Julius Caesar mother died in her ripe age and not during giving birth to Caesar. David Haviland gives examples for Doctrine of Signatures that natural remedies embodies or reflect the ailments they are designed to cure. That is the appearance of certain fruits resembling our body parts. There are many unknown facts in the book one such is that we share many diseases with animals and they are known as 'zoonoses' we caught common cold from horses, measles from dogs, influenzas from pigs & ducks, smallpox and tuberculosis from cattle. Another fact relates to great artists, and how they were affected by using Emerald Green a chemical made from copper acetate and arsenic trioxide. The artist such as Cezanne, Van Gogh and Monet. All these artists excessively used Emerald Green in their paintings which lead to arsenic poisoning, Cezanne developed series diabetes, Van Gogh suffered from neurological disorders and third artist Monet got blinded. The cabbies of London have bigger hippo campus region as longer they are driving taxi the bigger the region become. And to compensate the growth the other part of the brain shrinks. There are many facts, one such is about Syphilis, an epidemic which spread throughout Europe after 1495. Each nation in Europe blamed their enemy. The French called this disease as Le mal Naples, while the Italians called it the Spanish disease. The Japanese called it as the Chinese disease and while Chinese people blamed it as Cantonese. The author has given detailed account on the invention of X ray and aftermath and how one guy in London began marketing X ray proof underwear and made a small fortune. One chapter is allotted to the Live Typhoid carrier Mary. She was a cook. Everywhere she went and cooked the people in the house get infected with typhoid but she never had the disease herself. A law was passed and she was isolated from others. 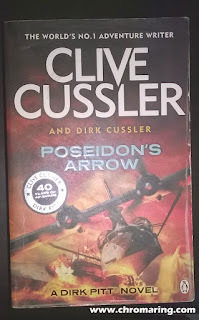 I thoroughly enjoyed reading the book. A must book for information gatherers.